Eintracht Frankfurt on Friday signed midfielder Kevin-Prince Boateng on a two-year deal with the former Ghana international returning to the Bundesliga after quitting Spain's Las Palmas. The 30-year-old Boateng, who has also played for Tottenham Hotspur, Portsmouth and twice for AC Milan among other clubs, netted 10 goals and provided five assists for Las Palmas last season. "We know Kevin's strengths in midfield and are convinced that he can play a key role in our team," Frankfurt sports director Fredi Bobic said in a statement. "Kevin is a winner with endless will." 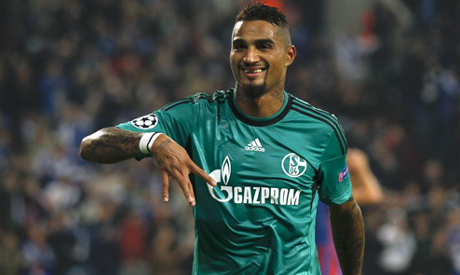 Berlin-born Boateng, whose half brother Jerome plays for Bayern Munich and Germany, has also played for Borussia Dortmund, Hertha Berlin and Schalke 04 in the Bundesliga. The season kicks off on Friday with champions Bayern Munich taking on Bayer Leverkusen. Eintracht are in action in Freiburg on Sunday.